Andrews McMeel Publishing, 9781449486136, 178pp. 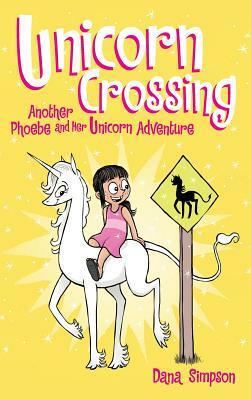 Time flies in this fifth volume of Phoebe and Her Unicorn Follow the lovable duo as they experience somewhat-spooky Halloween parties, ecstatic snow days, and looming summer reading assignments. Although the journey of growing up can sometimes be difficult, along the way Phoebe and Marigold discover something more enduring than goblin fads, unicorn spa vacations, and even a Spell of Forgetting--their one of a kind friendship.